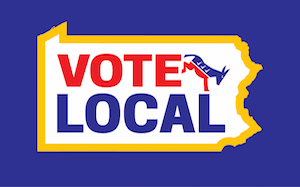 Looking to volunteer with the Beaver County Democratic Party? Here are four opportunities to do so! Tickets are $15 apiece and will be available at upcoming committee events and meetings. Contact Danielle Mascher to request tickets, and please invite friends and family to attend as well! We’re also looking for volunteers to help cook prior to the dinner and to help serve and clean up. Additionally, any donations of supplies (plates, cups, plasticware, table covers, etc) would reduce the cost for the committee and be much appreciated. If possible, supplies should be blue or white. We're constantly updating our social media accounts, so make sure you follow us on your favorite platforms to keep up with all of our campaign excitement! Join the list so that you can get the most up-to-date information straight from the campaign trail.